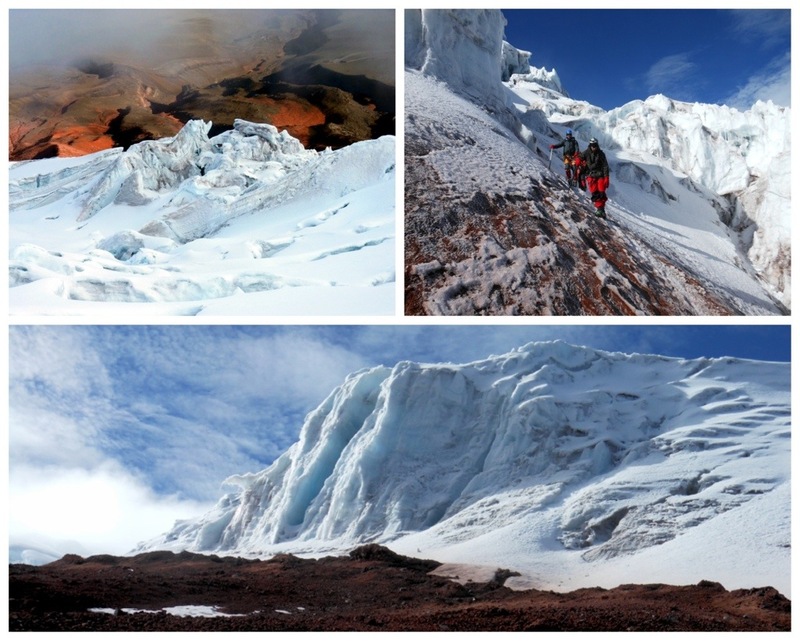 To climb or not to climb Cotopaxi, that has been our question. Arriving to the city of Latacunga, gateway to Ecuador’s greatest climbing and high mountain hiking opportunities, we decided to bite the big-bad-cost-bullet for our first attempt at real mountaineering. While Jeremy and I consider ourselves to be avid hikers, using ice picks, ropes and crampons to maneuver over glacial crevasses and steep, slippery snow fields is new to us. Maybe we could become Mountaineers together? We fantasized, as we were fitted for gear and packed into a van headed for Cotopaxi National Park. Summiting Cotopaxi, an active volcano that last erupted in 1940, means coping with the effects of extremely high altitude. 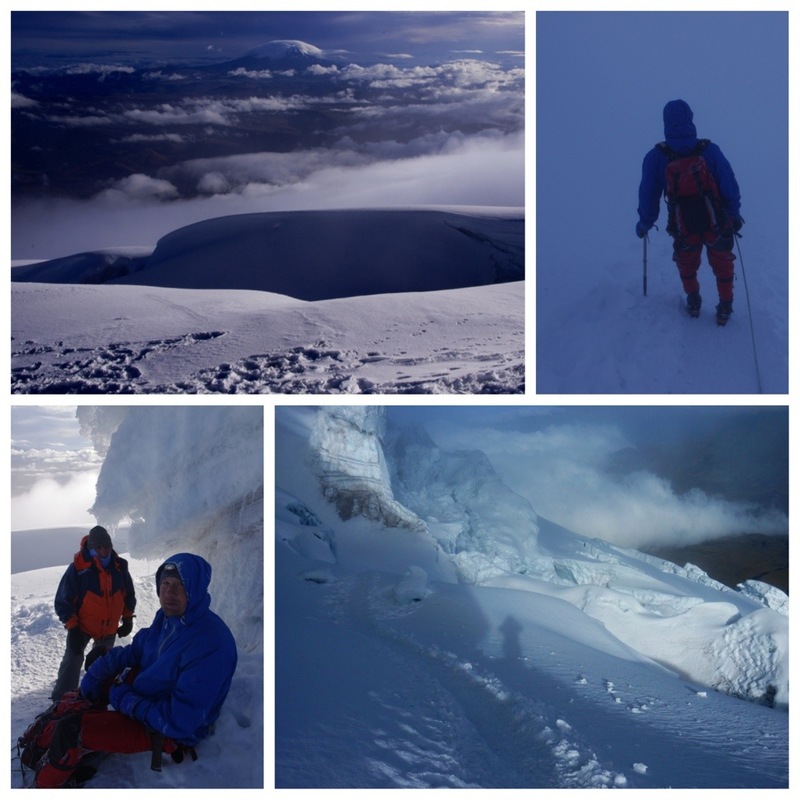 The 19,347-foot (5900m) peak of Cotopaxi requires some simple, but crucial acclimatization procedures. The night before our planned summit, we had to acclimate at the volcano’s base-camp. After driving to 4500m, we hiked the last hour up to the little, yellow lodge (called The Refuge) to spend the night adjusting to the oxygen and air pressure at 4800m. After an early dinner and bedtime, our plans was to rise at 12am, hitting the trail by 1 o’clock in the morning. It was dark and the sky was crystal clear as we began our initial ascent up the scree slope from base-camp. A crescent moon glowed brilliantly, laying on its back like a cradle, as the stars, a blend of Northern and Southern Hemisphere constellations I’d never seen before, fell silently. The only other lights were those of Quito in the far off valley, lightning on the horizon belonging to a distant jungle storm, and those of the climbers; twenty small concentrated headlamp beams dotting the trail. It was a long, cold 5-hour climb to the top. Reaching the tip of the glacier at about 2am, we stopped to put on our crampons and assemble our ropes. Jeremy and I had a private guide, Francisco, who strung the three of us together by our harnesses before taking our first step on to the glacier. Did I mention it was dark? For the next 3 hours, we hiked up and over the glacier, across snow fields, along cliff edges, but we saw nothing beyond what our headlamps would allow. It was difficult to talk to each other due to our headwear and the wind, so for most of the hike we remained in a meditative silence. We were completely consumed in darkness, silence, and snow. Nearing 5600m (18,300ft), the cold and wind began to intensify. The snow blew up into our faces as we tried to watch our footing. Despite our slow and steady pace, I was feeling the altitude, and exhaustion was kicking in hard. My ice pick suddenly felt as if it weighed 100lbs and my ankles and knees were close to buckling from strain. I started to cope by counting to myself in Spanish. Uno, dos, tres….setenta. I would count, before stopping and allowing myself five to ten deep breaths. I hurt everywhere and could barely breathe. Why I am doing this?? I thought. There is no way I want to be a Mountaineer. I hate the cold. What was I thinking? “Julie, don’t push yourself too hard. It’s ok. We can go back anytime.” Jeremy said to me, as if he had been eavesdropping on my thoughts. I was crawling at that point, finding it easier on my aching legs and limp arms to dig my toes into the ice while shuffling up on my hands and knees. I knew we were less than an hour from the top. No. There was no way I was turning back; no way that I had come all that way for nothing. Finally, after what felt like an eternity, but was really only about half an hour, we made it to the top. Even though our pace had been slowed by my exhaustion, we crested the summit just as the sun was about to break the horizon. In a matter of seconds, the darkness was dissolved and we were thrusted into a pure illumination of sun, ice and snow. Looking back at the snow packed trail, we could see for the first time where we had come from. The peak of Cotopaxi rises above the main crater. Peering over the edge, we found ourselves looking straight into eye of the volcano. We had done it. Climbed our first glacial volcano and set a new personal record, breaking the last by 3,000 feet! “Ok, so can we go down now? ?” We asked, after snapping a few photos with numb fingers and taking a few jaw-breaking bites of our frozen chocolate bars. With my energy and enthusiasm suddenly restored by sunshine and the prospect of warmer weather, we started our descent in pursuit of a properly sheltered resting spot. We were re-positioned to have Jeremy lead and our guide in the rear on the way down. “I should tell you I have a severe fear of heights,” said Jeremy, pleading not to go first. Our guide laughed as he urged Jeremy forward, down the steep slope we’d just climbed (or crawled in my case) and into the wind and clouds. The descent took us about 3 hours in total. With the ability to see again came the chilling reality of the ledges, cliffs and steep, icy slopes we had climbed up in the security blanket of night. Suddenly, the dangers of this ice capped volcano were glaring us in the face, calling our eyes to look over the edge instead of at our feet. I have to say, however, that during the Cotopaxi descent Jeremy brought his usually crippling fear down to a more mere short-lived panic. He jumped over crevasses, slid around cliff edge corners, and across narrow, slope passes; all with only the slightest of profanity freak outs. He even stopped occasionally to take photos. By nine o’clock in the morning, we were limping back into basecamp. Sore, exhausted and disheveled, but happy, healthy and proud. 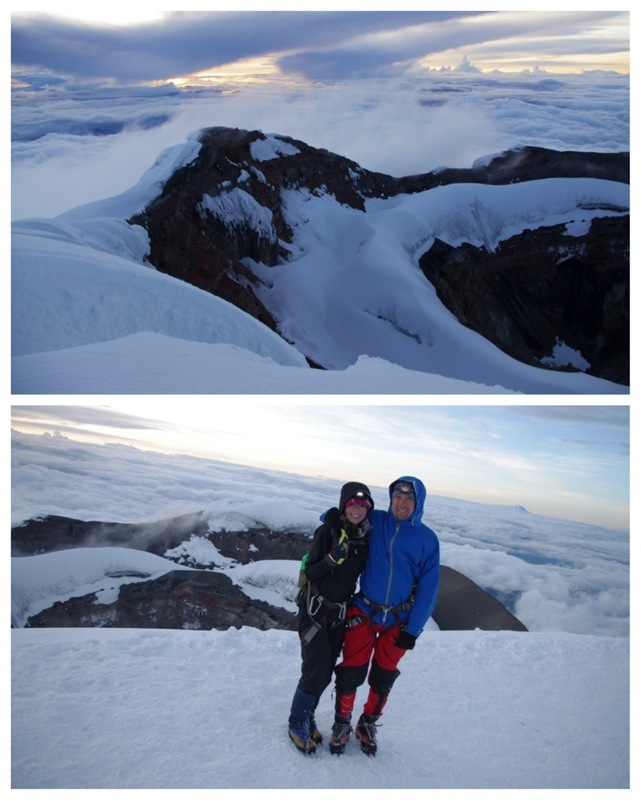 Summiting Cotopaxi was an incredible introduction to climbing and an unforgettable first-time experience. What I love most about mountain climbing is the satisfaction and pride you receive by conquering something seemingly impossible. Although our first climbing expedition may have extinguished our daydream of becoming Mountaineers, we came out with something better: the exhilaration of overcoming a challenge. In the midst of my exhaustion, I remember catching myself thinking of a woman who had told me how she hated hiking. She couldn’t see the point. She didn’t understand why people do it. And in that moment, when I was freezing and about to collapse, I almost agreed with her. Why was I doing this? But as soon as I did it, as soon as I had overcome my exhaustion and was standing at the top of a mountain that I never thought I could ever climb, I remembered. I hike because there is always a reward at the end. I always come home a winner. Whether I pushed through the physical pain, overcame a fear, or crossed another item off my bucket list, I always gain something from the experience. High five! Yay you guys..I’m afraid I’d freak out especially on the way down in daylight. Very impressive and beautiful pictures. This sounds amazing……I was wondering though how did you acclimatise? Did you do some smaller climbs in the area or stay at high altitude in Banos or Quito beforehand? Hi Wendy, thanks for your comment! For this climb, you’ll want to be acclimated, well hydrated, and in good physical shape. We had spent the months prior living in Bolivia, at an elevation of 9,000 feet, so we were pretty well adjusted. I’d recommend spending at least two days either hiking or relaxing in high altitude towns (around or above 5,000 ft). Easy to do around Latacunga. 🙂 Good luck! This post sounds fantastic and word-for-word the experience I am going for this Christmas when I head to Ecuador. How would you recommend finding a guide and rental equipment (e.g. axes and crampons) for the climb? Is it best to arrange this before heading down south or should we wait til we are in Latacunga or Quito? Excellent, thanks so much for the info, I hope we have a similarly memorable experience! Hi, i wonder how much did it cost for you? I am actually going to Quito now 4th december. My father lives there is from Ecuador and i got a Ecuadoarian passport aswell(aswell as a Swedish). My father said he would like me to do a thing like that, but i have never done anything similiar before. Thanks for reading! I can’t remember exactly how much we paid, but I believe it was around $200 per person. Well worth it!! Unforgettable… Good luck! I have some questions though. Did you book the guide well in advance, or is it possible if I go to Latacunga and then just walk in and find a guide ready to leave in a few days afterwards? Did you use any altitude sickness medications (like Diamox)? How important do you think it is? 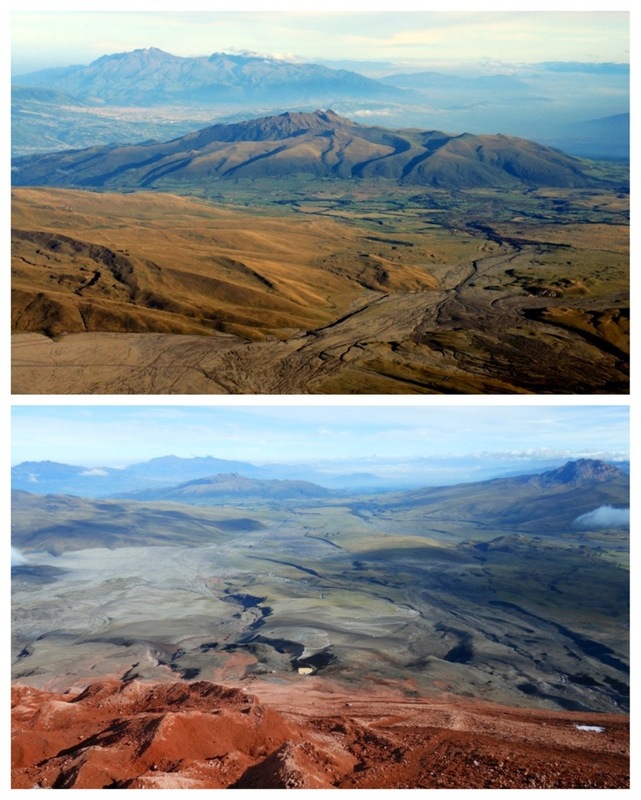 I was in South America in 2012, and I had a terrible altitude sickness when I climbed from the altitude of 2,300m in San Pedro de Atacama in Chile to almost 5,000m in Bolivia, so I’m really afraid about it. Also, what kind of gear should I bring and what should I rent from there? Hey Khunwasut! Thanks for reading! 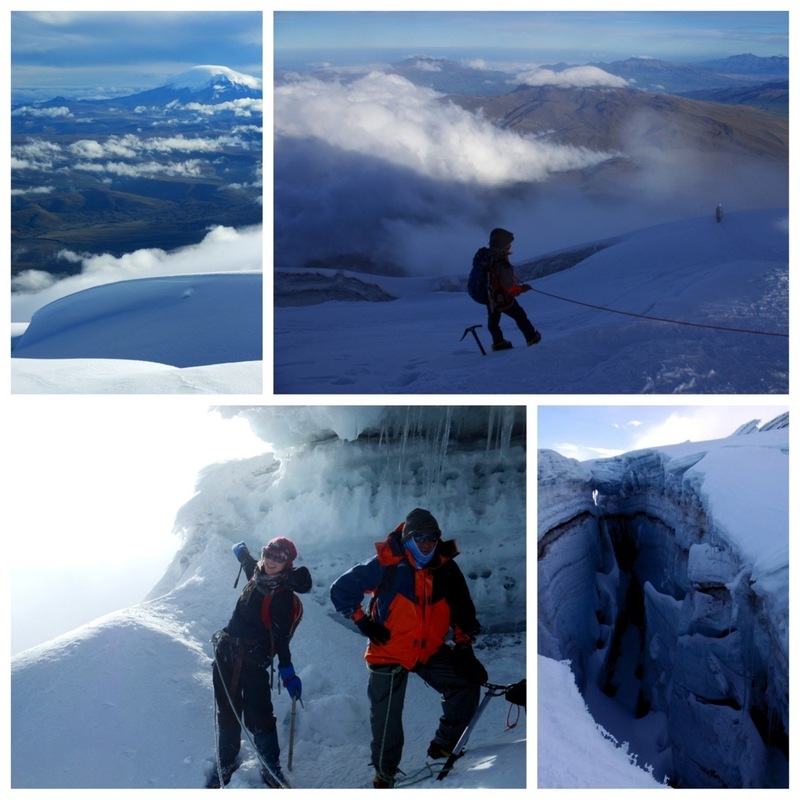 You should definitely feel confident in your decision to climb cotopaxi. As difficult as it was, it was by far the most rewarding and exhilarating experience I had in South America. In terms of finding a guide: wait until to get to Latacunga. They are like Starbucks (one on every corner) and each will be bidding for your business. Spend a day visiting the different companies, talking with their guides, trying on their equipment (you can rent clothing, boots, mountaineering gear from them), negotiating price until you find an operator that feels comfortable. In the end, it’s gonna be you and them on mountain, so you want someone that you feel good communicating with and a place that has equipment in good condition that fits you. Altitude medicine… if you have a history of AMS then yes, bring it and take it. But also do your best to prepare naturally. Stay really hydrated, well rested, and maybe do a couple high altitude day hikes during the week before Cotopaxi (plenty of options around Latacunga) to help your body acclimate. The amount of personalize gear you bring is up to you. Obviously bring a headlamp and water bottle, but I had nothing and rented literally everything from them (including gloves!). Their boots did give me blisters, but my feet were so cold I hardly noticed. 😉 — maybe bring hand and feet warmers?? Good luck and have fun!! I am leaving in 4 weeks to climb Cotopaxi in aid of the Royal British Legion Battle Back centre. I’m petrified but this is the most inspiring post I’ve read so thank you. Thank you for reading! Good luck and enjoy the challenge. You won’t be sorry. Felicitaciones Julie Y Jeremy, es una buena sensación llegar a un sitio en donde ya no puedes subir mas, solo queda el cielo y el infinito del horizonte, la mejor vista que puedas tener. I love the pictures! 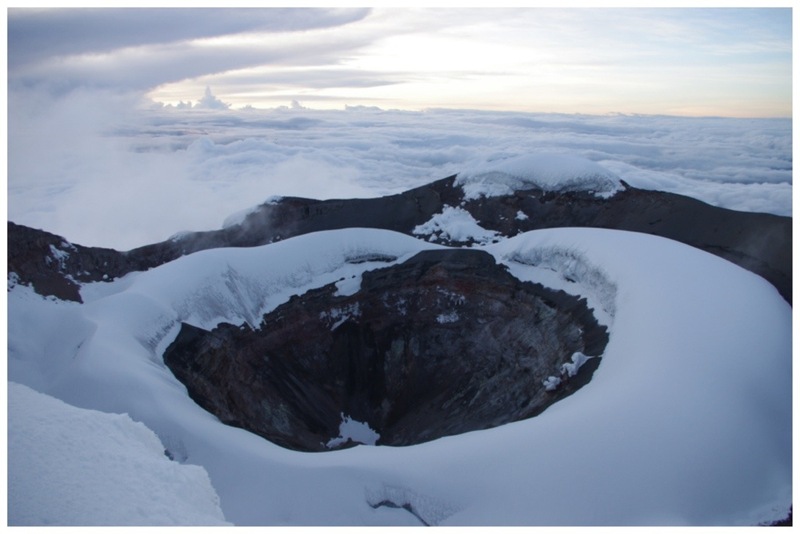 Did you acclimate on any other mountains before Cotopaxi? I’m planning on climbing Cotopaxi in September, but I’m not sure if all these acclimation programs are just a scam or not. We did not do any acclimation other than the one night required at the hut the night before the accent… although I wouldn’t necessarily recommend that. It’s hard to say what’s best because everyone is different when it comes to altitude sickness. If you know you’re sensitive to it (which us ladies tend to be, biologically), I would recommend doing a couple of day hikes around the area before you climb. I’ve never heard of “acclimation programs”, but generally the more time you spend at altitude and the more fit you are overall, the better! Good luck and have fun!!! Thanks for the advice! Cross your fingers for me! – you say that you were total beginners, did you have to complete mountaineering/climbing training to do this climb or did your guide teach you what you needed to know? – I would be going on this part of our trip alone as my husband is very scared of heights (i nearly killed him dragging him across scree slopes on the annapurna circuit in nepal last year!). Did you hire a guide just for the two of you or did you join a group? Do you think I will be able to find a group to join easily enough in January? Hi, I am planning to summit Cotopaxi sometime at the end of this year, could you share with me me your high mountain private guide (Francisco) contact information? thank you very much and congrats! 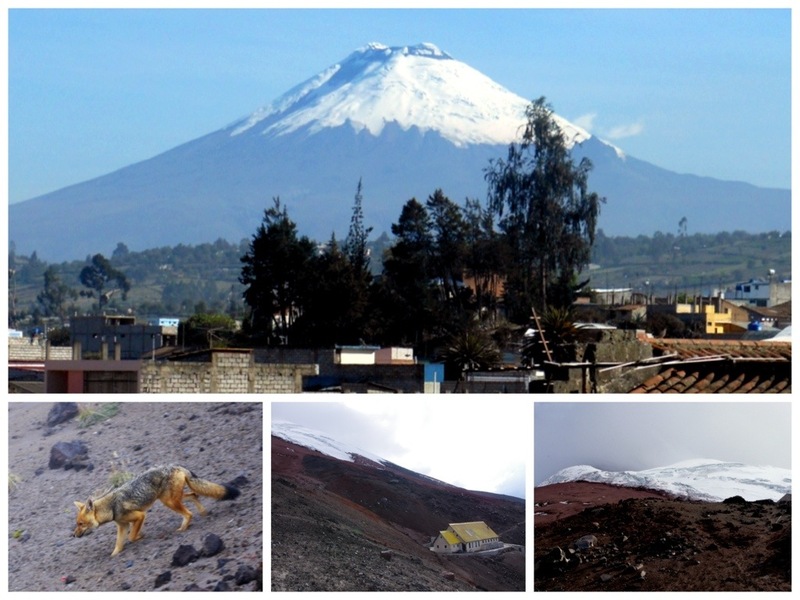 Hi I really enjoyed your post, and I actually hope to climb Cotopaxi in this upcoming year. I’m just scared of the weather and was wondering what month did you guys do this? I’m going to be in Ecuador in Feb/march and I know that’s part of the rainy season, which is why I’m worried I won’t get a chance to do this. Hola, its 2018 and I bet a lot of people would still find this very useful. Thanks a lot for sharing your experience. Physically, how fit were you guys before thinking of doing something crazy like this? 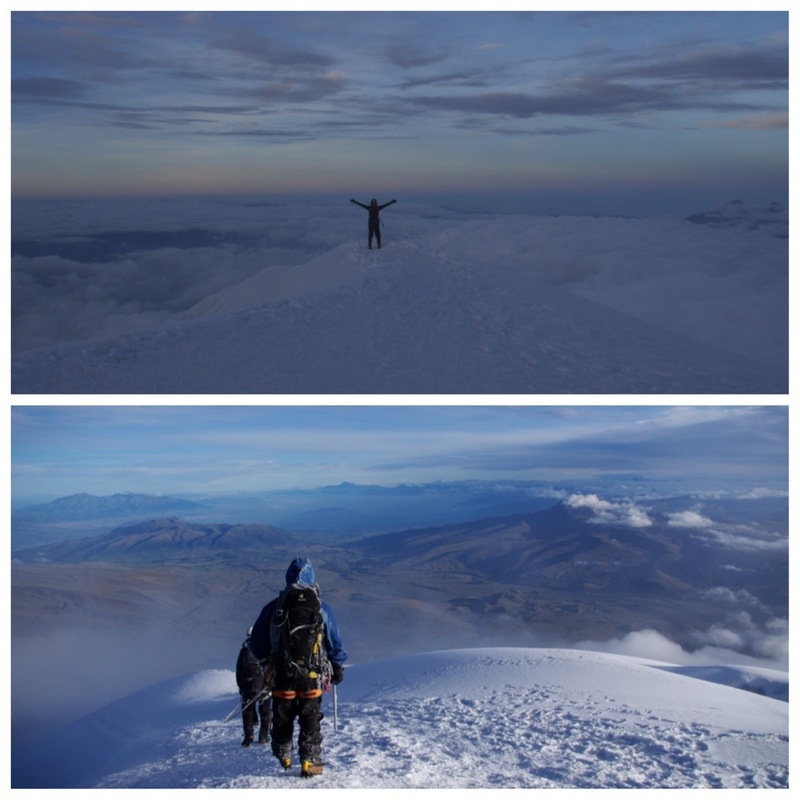 Based on your experience, can you tell us how one can prepare for a climb up Cotopaxi. I understand that no matter how fit you are, altitude can cause problems any time but apart from that, how can one prepare and be confident that they have the fitness and endurance levels to attempt a climb like this? Thanks a lot for the advice Julie. I am hoping to climb before the end of 2019. I will come back and let you know how it went. Take care. Where Has All the Wildlife Gone? Type in your email to follow along. How to Catch a Goat by Its Tail is a blog about travel, volunteering, adventure and marriage. The Slow Descent into the World of Advertising.